It’s very simple. Open Dataset Search, enter what you’re looking for, and Dataset Search will guide you to the published dataset on the repository provider’s site. The results shown are datasets published using schema.org standards. It works in multiple languages with support for additional languages coming soon. You can learn more about the technology and how it works on Google’s blog and developer's site. Google Dataset Search is great if you are browsing for data on a topic, or you aren't exactly sure what data you need. However, if you know exactly the data you are looking for, there's potential that you will come across data that doesn't exactly fit what you need. Maybe the data is not the right size, time duration, shape, or level of detail, in which case you may need to keep looking or create a dataset on your own. Google Dataset Search doesn't currently give users the ability to search for datasets based on different parameters, but this would be a very useful feature if developed. Let’s say you were looking for data for Iron Viz: Water. If you weren’t sure where to start or what data is available on the topic, just search for “water” in Dataset Search and you will quickly see a wide variety of results, spanning across many different websites. Click on any result to see a brief description and a link if you’d like to learn more about the data. 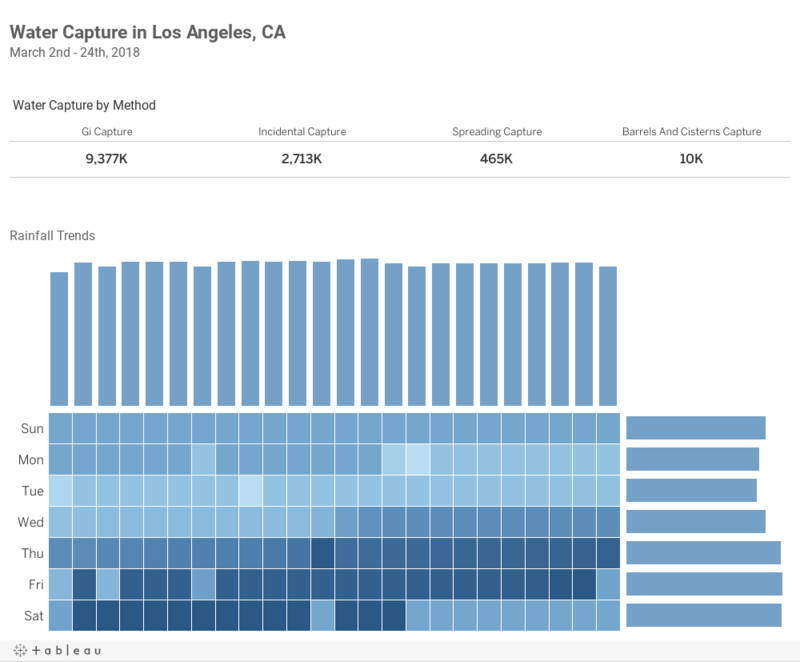 I downloaded "Water Capture by Method" by the City of Los Angeles from Kaggle and made a viz to learn a little more about water capture and rainfall in Los Angeles. Have you found the data you were looking for? Watch our video on how to make interactive data visualizations and publish them to the web, or see what else you can do with Tableau Public from other videos on our youtube playlist.